The Turku Fair Center offers a high-quality setting for fairs, meetings, exhibitions, congresses, parties and public events. We arrange major events, rent premises, and design and implement fair stands. The Turku Fair Center is the leading fair and exhibition service company in the Finland Proper region. In addition to arranging fairs, our business includes renting premises for various events, congresses and fairs, and marketing technical and expert services related to these events. In 20717, the Turku Fair Center organised 10 events. The company has a personnel of 23 and its net sales amount to approx. EUR 4 million. 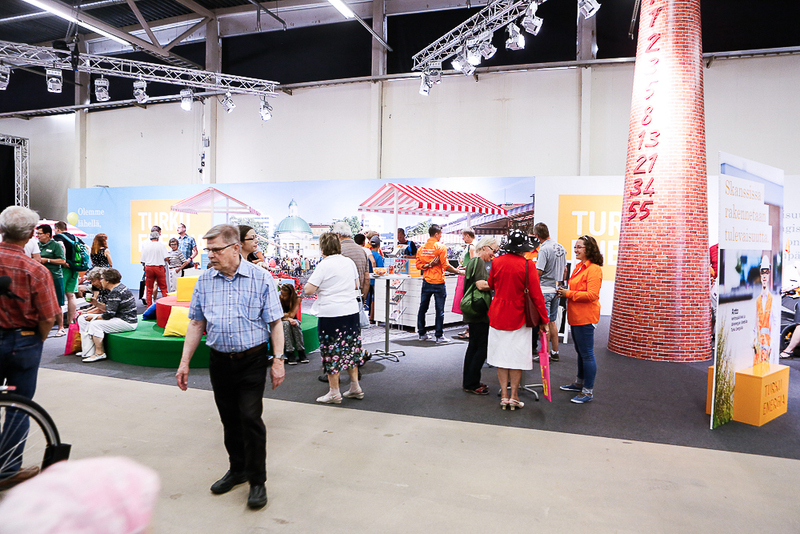 Fairs organised by the Turku Fair Center attract approximately 100, 000 (2017) visitors annually. Over 1,400 exhibitors participated in our events. The Turku Chamber of Commerce is the principal shareholder of Turku Fair Center Ltd. The Turku Fair Center is one of the biggest fair organisers in Finland. The company is a member of the Finnish Union of Trade Fair Organisers ry. We encourage people to renew their thinking and approach things from new angles. We help our customers succeed–we succeed together. We work in a goal-oriented, efficient manner. We foster continuous improvement. We work in a fair, responsible manner.